These Epic Fortnite Party Ideas are going to have the gamers in your life wanting to throw themselves a party just for the fun of it! Take a peek at these Epic Fortnite Party Ideas! If a Fortnite Themed Party is in your future, this is exactly where you need to be. 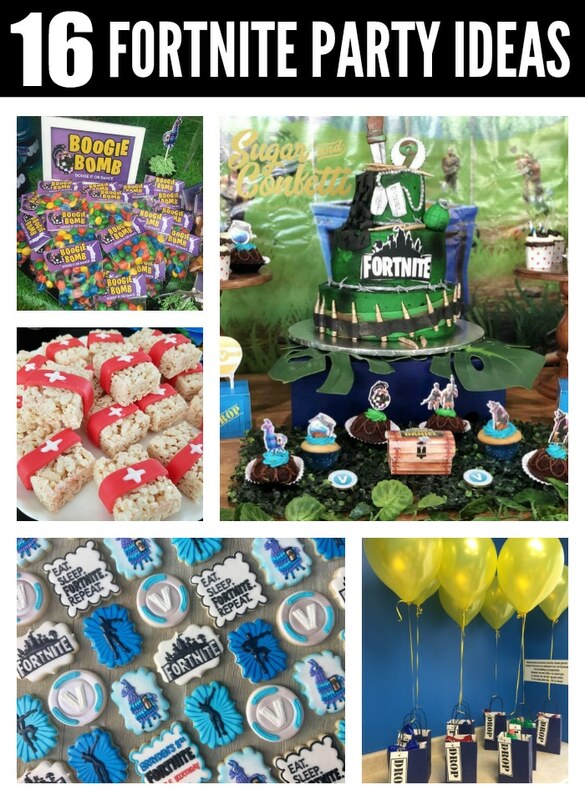 Inspiration is going to be found from a Fortnite Birthday Cake to amazing decorations and supplies that have been used. We love every single thing and we’re sure the Fortnight lover in your home is going to be amazed, as well! 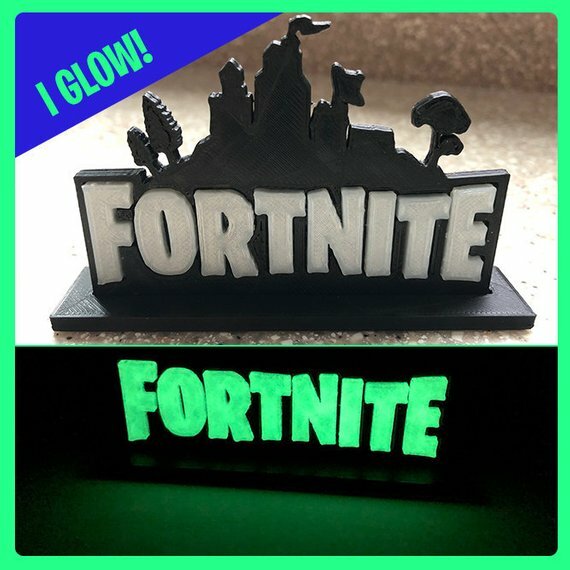 Check out this amazing Fortnite Glow in the Dark Cake Topper! We’re pretty sure any kiddo who is requesting a Fortnite Party Theme is going to love having this, even after the party is over! How fun for a bedroom addition until the glowing is finally all gone! If you’re looking for some great DIY Fortnite Party Ideas, take a look at this FREE Fortnite Llama Happy Birthday Banner Printable! 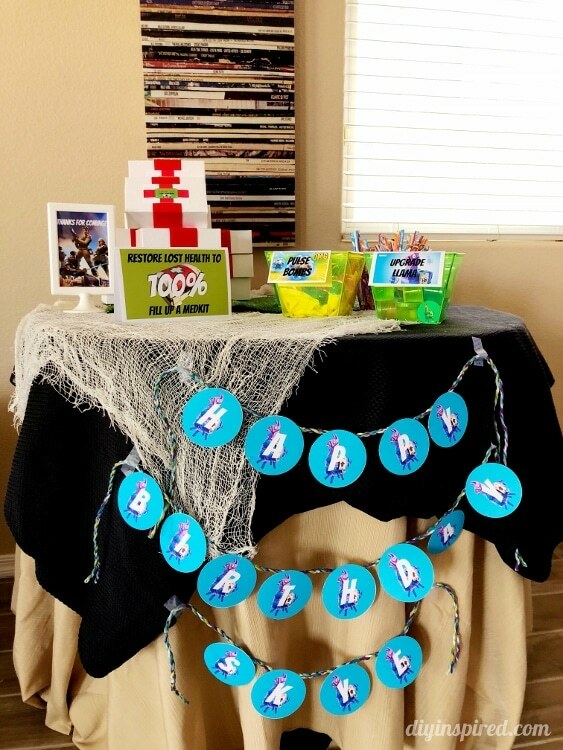 Set up your own dessert table or party favor table, and add this banner front and center for a great Fortnite Party Decoration! Another great DIY Fortnite Party Idea are these fun FREE Fortnite Llama Cupcake Topper Printables! Work on making your own Fortnight cupcakes then simply add these great toppers to them and voila! You’re ready for a Fortnite Birthday Party! 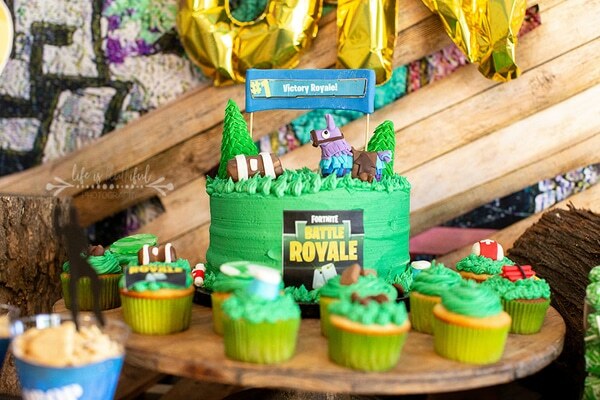 This Fortnite Battle Royale Birthday Cake is absolutely amazing! If you’re looking for some great Fortnite Birthday Cake ideas, this should be front and center on the list! Especially if your birthday kiddo is looking for some specific Battle Royale ideas. We love it! Check out these perfect Fortnite Boogie Bomb Party Favors that everyone will love! Fortnite Party Favors are so much fun to think about and these are a great addition for all of the little birthday guests. 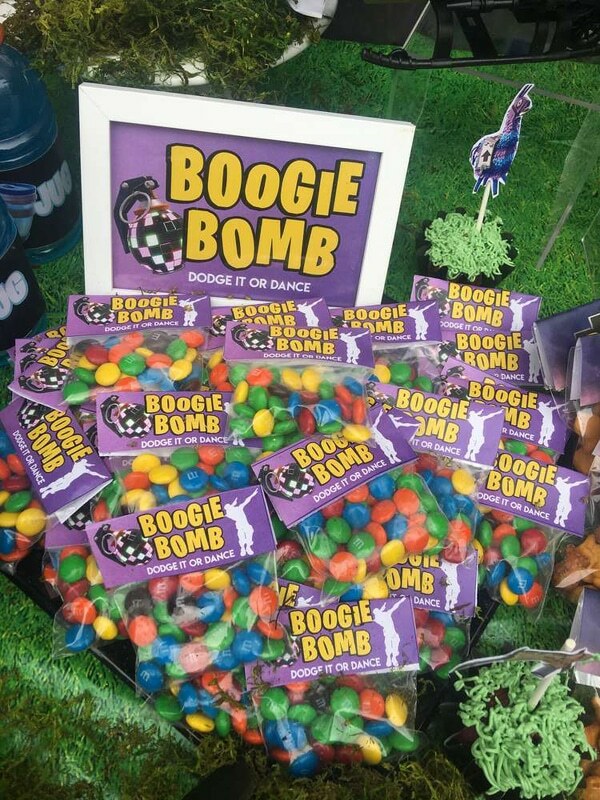 We all know how much the Fortnite Boogie Bombs are a hit or a miss, but we’re pretty sure they’re going to be a big hit in this case! It looks like we found another great Fortnite Birthday Cake idea for you to add to the list! 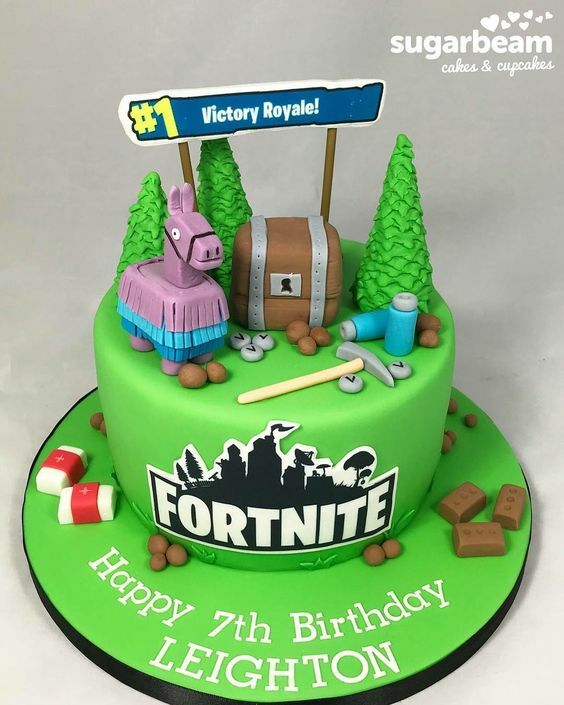 Add your #1 Victory Royale loving child as a recipient of this amazing Fortnite Cake and they are going to love it when they walk into their big birthday event! They may not even want to eat it right away! How fun are these Fortnite Cookies?! 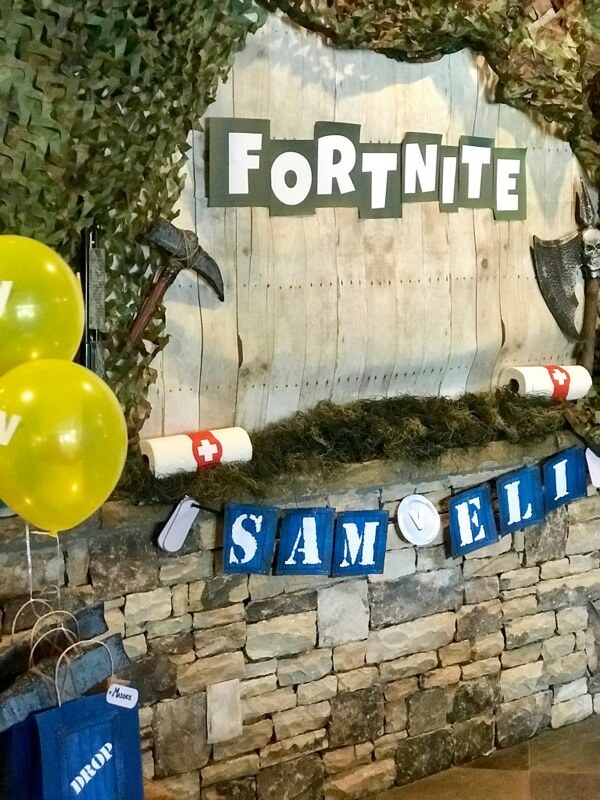 They are decorated absolutely perfectly and we think they are an amazing addition to any Fortnite Themed Party. Don’t forget that purple llama! 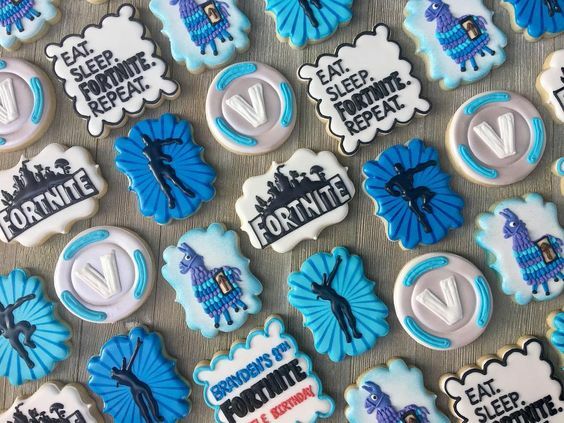 Just look at the amazing details that are included on these fun Fortnite cookies. We love them! 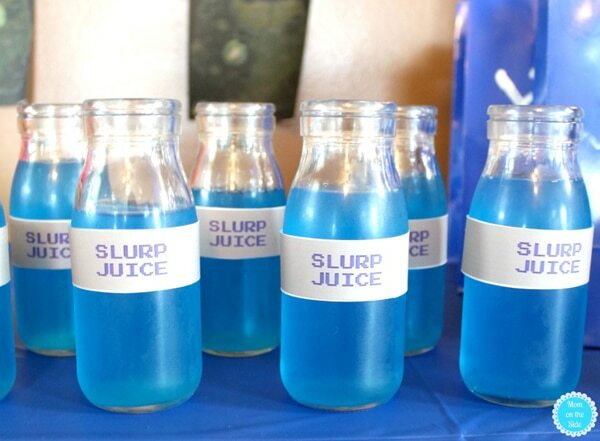 Fortnite Slurp Juice is the perfect addition to the drink station for your child’s Fortnite Party Theme. What a fun drink to have for the birthday event and with these great drink labels, it’s a perfect DIY party idea that you can take care of, no problem! 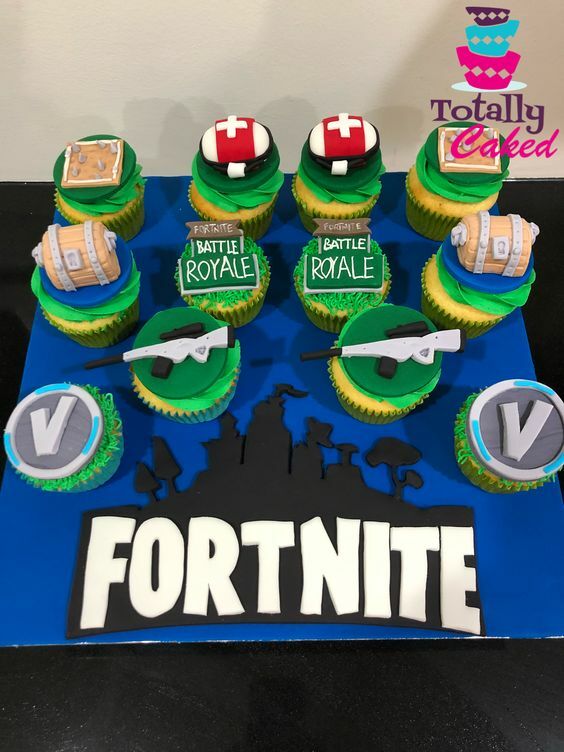 When you’re thinking of Fortnite Party Food Ideas, especially dessert ideas, don’t dismiss these Fortnite Cupcakes too fast! They are so fun and are super easy to add to your dessert table, once the cupcakes are finished up. Simply add the toppers and you’re ready to go! Fortnite Favor Bags are a must for your big celebration and what could be more perfect than “Drop” favor bags?! 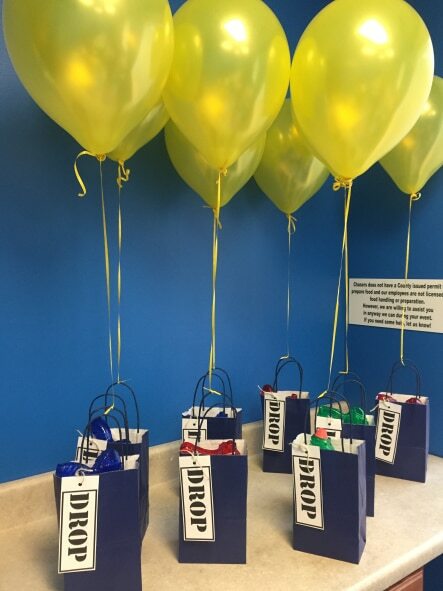 You never know what you’re going to find in these Fortnite Party Favors, but we just love the whole idea of having them “drop” into your Fortnite Birthday Party! 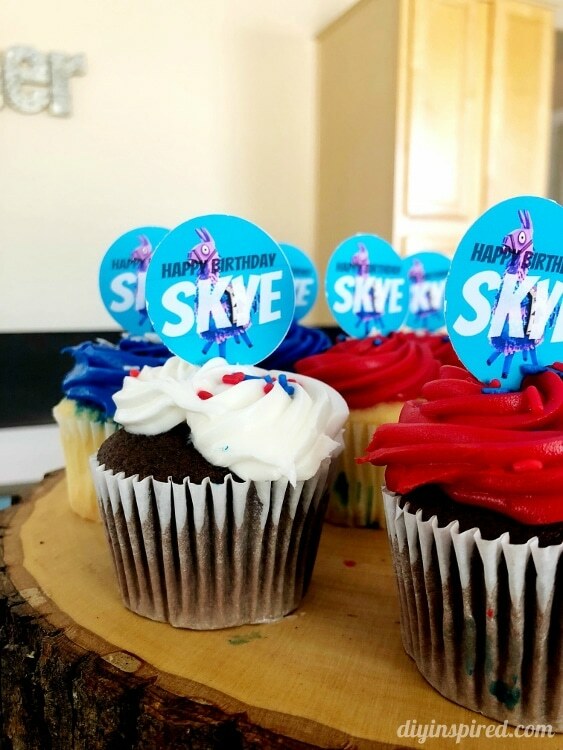 We love finding great Fortnite Birthday Ideas like this! 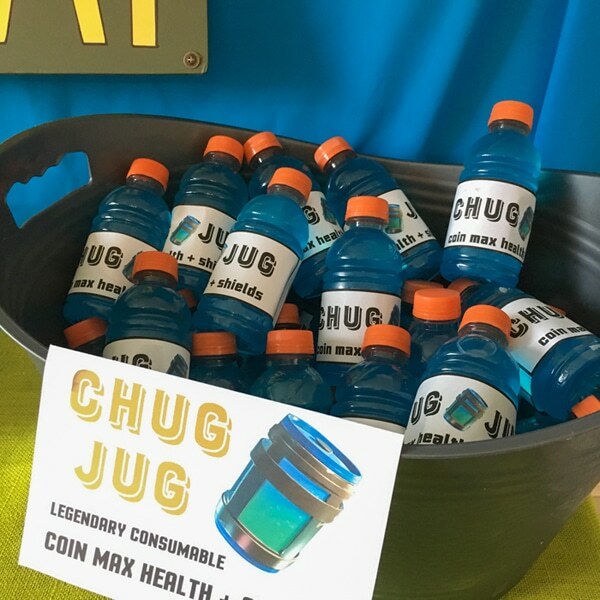 The Chug Jug is a super easy way to provide drinks for your birthday party guests. Slap on the personalized drink labels and throw them in a bin for everyone to take as they please. You’re done! 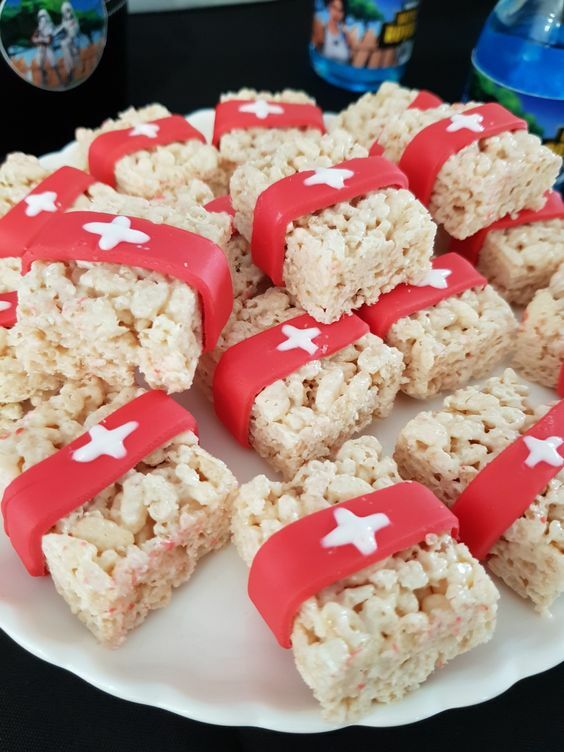 These Fortnite Med Kit Rice Krispie Treats are a fun addition to any Fortnite Birthday Party! Everyone needs a Med Kit at some point when you’re playing Fortnite, so of course they would show up at a birthday party. What great Fortnite Party Ideas! Wow! 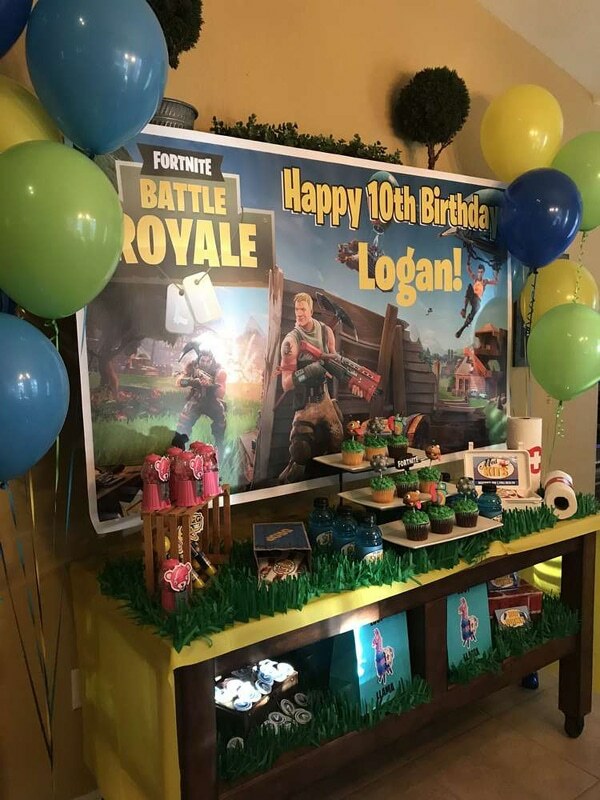 This Fortnite Party Dessert Table and Backdrop is absolutely everything! We can’t believe how amazing this is and the personalization on the backdrop and banner is perfect! What a great idea to add “grass” for the bottom of the table, as well! 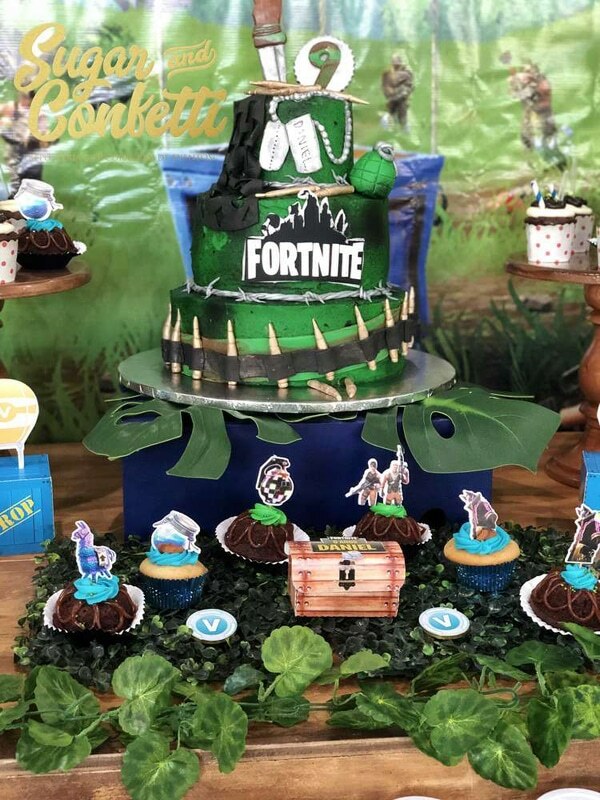 This Fortnite Birthday Cake is the epitome of Fornite Birthday Cakes! What an incredible Fortnite Birthday Party everyone will walk into when they see this cake! We love how the greenery is added, as well, to make it appear even more realistic. You just never know when you’re going to get dropped into a forest Fortnite Birthday Party! Don’t forget to add a DIY Fortnite Photo Booth to your Fortnite Party Theme! Your birthday child and all of the event guests will love to document their fun day to look back on for years to come. Gather up all of the Fortnite Party Supplies that you need to create this fun backdrop and before you know it, everyone will be begging to get their picture taken! Looking to add a fun pinata to your Fortnite Birthday Party? 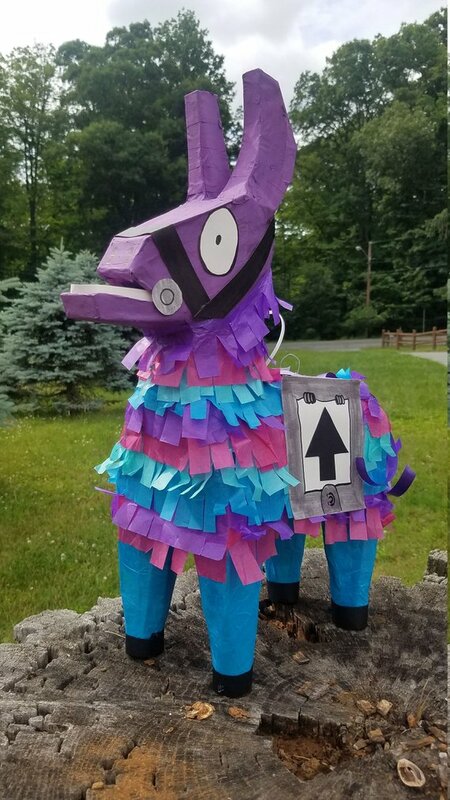 Then this Loot Llama Party Pinata is exactly what you will need! Everyone is going to get our their Fortnite aggression with the fun llama piñata and you get the fun job of stuffing it with all of the candy you can find! Who doesn’t love pinata time?! And just like that, you have the things you need to throw the most amazing Fortnite Birthday Party ever! What’s your favorite Fortnite Party Ideas? Let us know in the comments below.